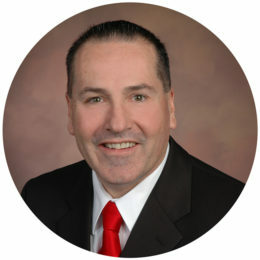 Matthew (“Matt”) Koglmeier, the firm’s managing partner, attended Arizona State University and received his Bachelor’s Degree in business administration in 1979. Matt also received his Juris Doctor from Arizona State University in 1981. He began practicing law in May 1982 and has focused his practice in the area of civil litigation including landlord-tenant, personal injury and commercial litigation. Matt’s office has been located in Mesa, Arizona for over 30 years. Mr. Koglmeier is admitted to practice in the following jurisdictions: the State of Arizona, the United States District Court for the District of Arizona, and the United States Court of Appeals for the Ninth Circuit. In addition to actively practicing law and running a successful law firm, Matt participates as a speaker in numerous seminars on the topics of landlord-tenant law, fair housing, medical marijuana, and speaks regularly at “Crime Free” certification classes organized by city police departments throughout Arizona. Matt previously served as a member of the Board of Directors of the Arizona Multihousing Association where he continues to be an active member of the Government Affairs Committee. Matt also enjoys working with numerous charitable organizations including donating his time as a pilot for organizations whose mission is to provide free air transportation to those with medical needs. When he is not donating his time away from the firm, Matt enjoys spending time with his family, including his 7 children, and his 14 grandchildren.